“TERMINATOR 6”: Insight on the relationship between James Cameron & Tim Miller. This past January, exciting news broke that a sixth Terminator film was now in a pre-production phase, with no one other than Terminator creator James Cameron involved in its development. The source revealed that “Terminator Genisys” Skydance CEO David Ellison was bankrolling the development of “Terminator 6”, which included finding the perfect script by reaching out to the best science fiction authors in the world, in an attempt to find a worthy story to tell. Accompanying that news was another announced piece of information that struck many fans as odd. 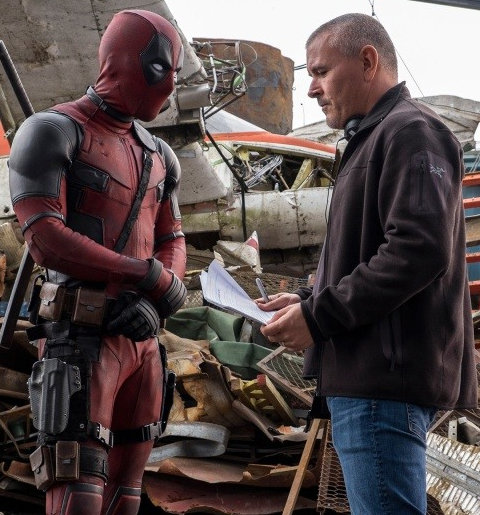 Even though there was no script, James Cameron was already in early talks with Deadpool director Tim Miller to helm T6. By industry standards, that announcement was a bit strange. Unless he or she is involved in the writing process, usually directors are not sought out this early when you do not even have a screenplay, let alone a story idea. But regardless, Tim Miller, a man who started his career as an animator and visual effects artist which led to his first directorial debut “Deadpool”, was indeed being courted by Cameron. It wasn’t until a recent viewing of a Hannah Litchfield’s 2016 interview with James Cameron, (where Jim was rattling off some names of filmakers today that inspire him) that the pieces finally fell into place. We’re not sure when they met, but James Cameron revealed that Tim Miller is not only a contemporary inspiration of his, but “a friend of mine“, which now sheds some light on why Jim would be talking to this director so early in T6’s development. This should be encouraging news for Terminator fans. A bond of friendship both directors share towards each other not only means this hot director is less likely to back out of T6, but also means they will likely work well together, ensuring that “Terminator 6” will be the best movie it can be, and result in a long and healthy future for the Terminator film franchise because of it. Previous PostA closer look inside the World Premiere of “TERMINATOR 2: JUDGMENT DAY 3D”!Next PostRussian programmer builds his own T-800 TERMINATOR with an artificial intelligence. All we need is a release date! Pronto! The best thing a writer can do for the longevity of franchise is create an entire reboot without the Connors and without the Schwarzenegger T800.